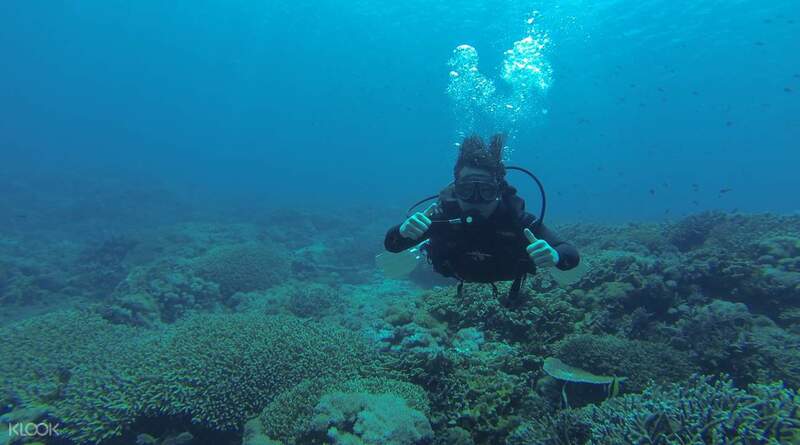 Awesome experience.. good for those who want to try Scuba diving before signing up for a full course. Learn the basics of scuba diving with professional scuba diving masters and experience the spectacular underwater world of Bali. 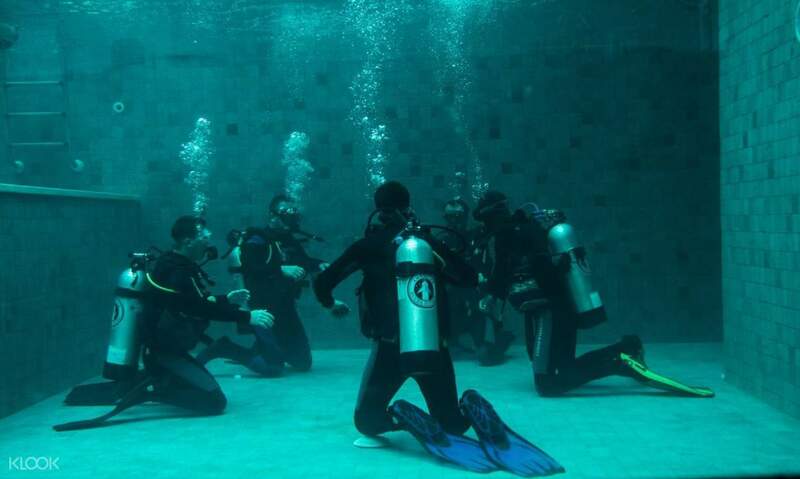 Ideal for less-confident swimmers, the activity begins with a safety briefing on how to properly use your gear, monitor your oxygen tank level, and communicate underwater with your group and instructors. 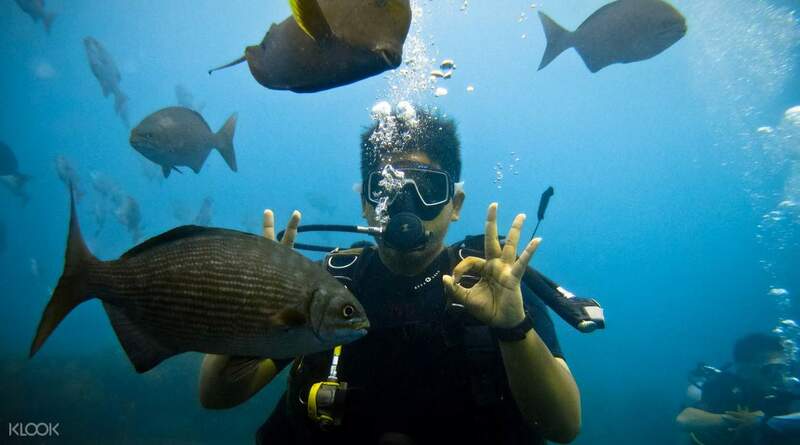 Once the scuba diving master ensured that you are familiar with your gears, they will take you to the scenic underworld landscape of Tanjung Benoa and its resident marine species. You'll be surprised how easy and comfortable it is to breathe underwater! For your convenience, all necessary equipments and hotel transfers in select southern Bali hotels are included in this package. Sharp 9 AM pick up. Private AC transfer. Towel and Scuba equipments included. Training in swimming pool before scuba. Neat and clean washroom. They provided one locker to keep luggage. Diver instructor was helpful. 2 water bottle complimentary. They took around 30 USD (for 2 people) for scuba photos. Photos provide in a DVD also uploaded to mobile. 12.30 PM back to hotel. Sharp 9 AM pick up. Private AC transfer. Towel and Scuba equipments included. Training in swimming pool before scuba. Neat and clean washroom. They provided one locker to keep luggage. Diver instructor was helpful. 2 water bottle complimentary. They took around 30 USD (for 2 people) for scuba photos. Photos provide in a DVD also uploaded to mobile. 12.30 PM back to hotel. Had a lot of fun ! Staff are really friendly ! Drop off service is provided which is very convenient for tourist ! Had a lot of fun ! Staff are really friendly ! Drop off service is provided which is very convenient for tourist ! it's very amazing experiance.even if I don't know about swimming they will take care.worth for everything.superb. it's very amazing experiance.even if I don't know about swimming they will take care.worth for everything.superb. This place is good. They have lots of trainers and have taken care of us. Neat and clean premises. This place is good. They have lots of trainers and have taken care of us. Neat and clean premises. Driver was very punctual and nice. Coach gave clear instructions and was helpful as well. There was a variety of fishes and we had a blast feeding them. I also recommend their video/photography package (had to tell them in advance before you dive). Nice experience overall! Driver was very punctual and nice. Coach gave clear instructions and was helpful as well. There was a variety of fishes and we had a blast feeding them. I also recommend their video/photography package (had to tell them in advance before you dive). Nice experience overall! Driver picked us up on time. Smooth transport to the destination and back. The trainer gave clear instructions for the under water hand gestures and the usage of the equipment. Was very patient to make sure we know how to breath under water. Amazing fish and corals. There was one instructor with me and my husband the whole time during diving. We felt safe and had a lot of fun. Driver picked us up on time. Smooth transport to the destination and back. The trainer gave clear instructions for the under water hand gestures and the usage of the equipment. Was very patient to make sure we know how to breath under water. Amazing fish and corals. There was one instructor with me and my husband the whole time during diving. We felt safe and had a lot of fun.